This set of free online videos enables an immediate start to teaching taiko drumming. Taiko is all about, attitude, body language, simple musical technique, and energy. The more you put in, the more you get out of it, and children absolutely love it. The first video provides step-by-step instruction in a taiko motif, complete with demonstration by 2 young players. Subsequent (free) videos of youth and adult groups show how this motif can be arranged into a piece for performance lasting 2-5 minutes, depending on the arrangement. 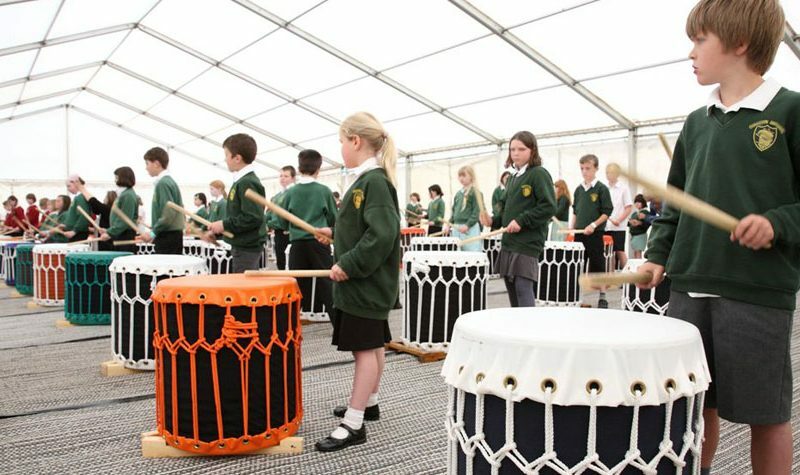 Kagemusha Taiko is the leading provider of taiko resources and training for schools in the UK. Under the artistic direction of Jonathan Kirby, the performing group has also established a worldwide reputation for excellence.